Last time I considered which Shelter would be the most adequate for a wild camping trip up into the hills and determined that the lighter the better, I discounted my hammock setup on the basis of not knowing whether there would be sufficient trees or not, opting for a one man tent and choosing the BERGHAUS Peak 3.1 Tent. After a rethink I have gone with the higher specification 3.1 Pro version. My reasons are the colour, green over red, should I ever need to use it to bug out anywhere, green will be less inconspicuous. Also the 5000 Hydrostatic Head (HH) is a all weather specification making it equivalent to the two man Coleman Pictor x2 tent that I already own. A reminder that the preparedness principles are Food, Water, Shelter, Security, Health & Sanitation. Continuing with Shelter is the clothing that you chose to wear and take with you, plus sleeping bag, rucksack and other water proof gear. The Goretex (GTX) provides a good balance of both waterproofing and breath ability. This boot is also light for its size at 640g per boot they are only slightly heavier than some lower cost walking shoes. 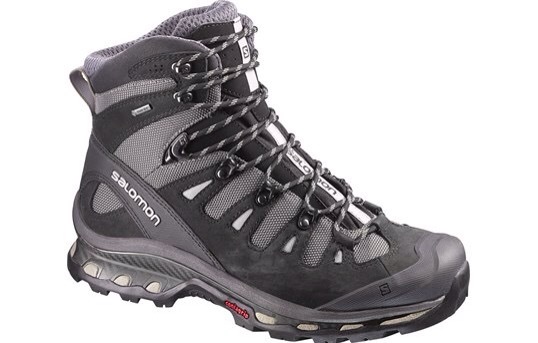 Alternatives to these would be Mammut T Advanced GTX ( also Gortex) or BERGHAUS AO Ridge Hiking boots. Obviously it’s a personal choice based upon personal choice and finances, but personally I’ve been up mountains in cheap boots and not has great experiences so I promised myself not to buy cheap on essentials ever again if I can help it. It is important to break these in before the main trip so wear them as much as you can on shorter walks. Socks are the next choice, for an overnight trip two pairs should be sufficient based upon the principle that “two is one and one is none”, the second pair will act as a backup should your feet get wet or if you develop a blister on day one, these can then be worn on the second day. I opt for the double layer ‘soft’ socks and have several pairs of the own branded ‘GO Outdoors’ socks. 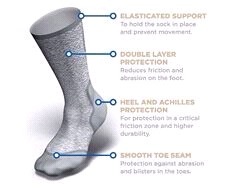 The double layered construction gives you added protection from blisters, and keeps you comfortable in all conditions, so if you can keep them dry and ventilated with a good boot then you shouldn’t have to worry about your feet. This entry was posted in Camping and tagged Camping, Goretex, Socks, Tent, walking Boots, wildcamping. Bookmark the permalink.